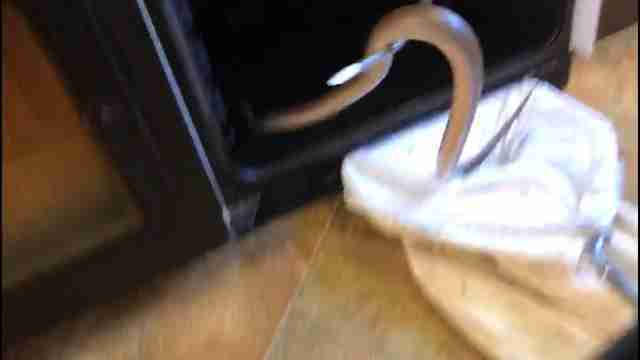 An elderly couple were getting ready to make dinner last week when they opened up their oven — and were completely shocked to find a 3-foot-long snake hanging out inside. Concerned and bewildered, the couple immediately contacted the RSPCA, but when an inspector arrived to collect the snake, he had disappeared. 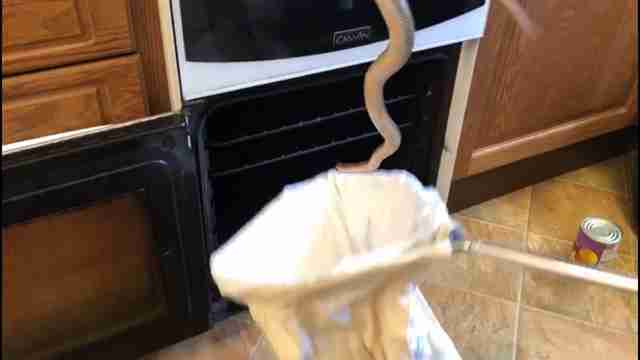 The inspector instructed the couple to contact the RSPCA again if the snake reappeared — and two days later, he appeared in their oven once again. The couple quickly contacted the RSPCA again, and inspector Andy Harris responded to the call and headed to the couple’s home. 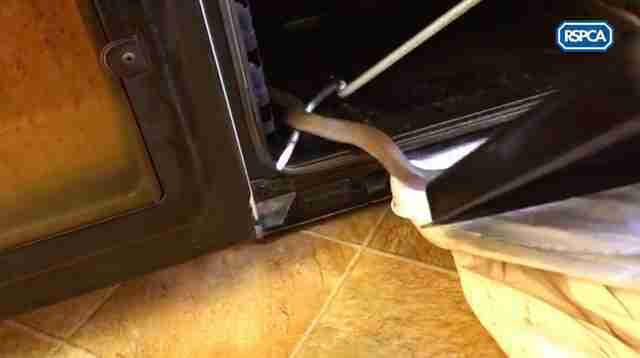 He was expecting to find a little snake curled up inside the couple’s oven, and was shocked when he realized just how big the intruder was. Harris was able to coax the snake out of the oven, and then very carefully secure him using specialized equipment. The snake, now named Sammy, was thankfully in good condition, and is now safely in the care of a reptile specialist. “It must have squeezed through a wall cavity of this couple’s home and there is a hole at the back of the oven where the gas jets come up, so was probably attracted by the warmth,” Harris said. African brown house snakes are typically found around human dwellings in Africa, meaning Sammy was likely someone’s exotic pet at one point. Whether he was lost or abandoned, he’s safe now, and it’s incredibly lucky that the couple found him when they did. 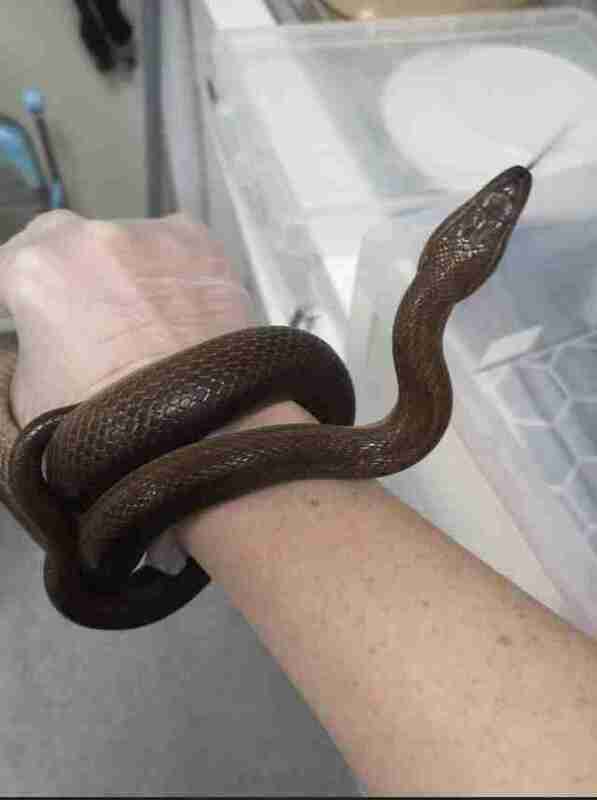 “We are big animal lovers and just wanted to make sure the snake was safe, so we were pleased that he was rescued by the RSPCA,” the female resident said.